Brighten up your home with glassware that’s as unique as you, thanks to Anya. Anya is exquisite Turkish glassware handcrafted with artisanal skill, talent and tradition. 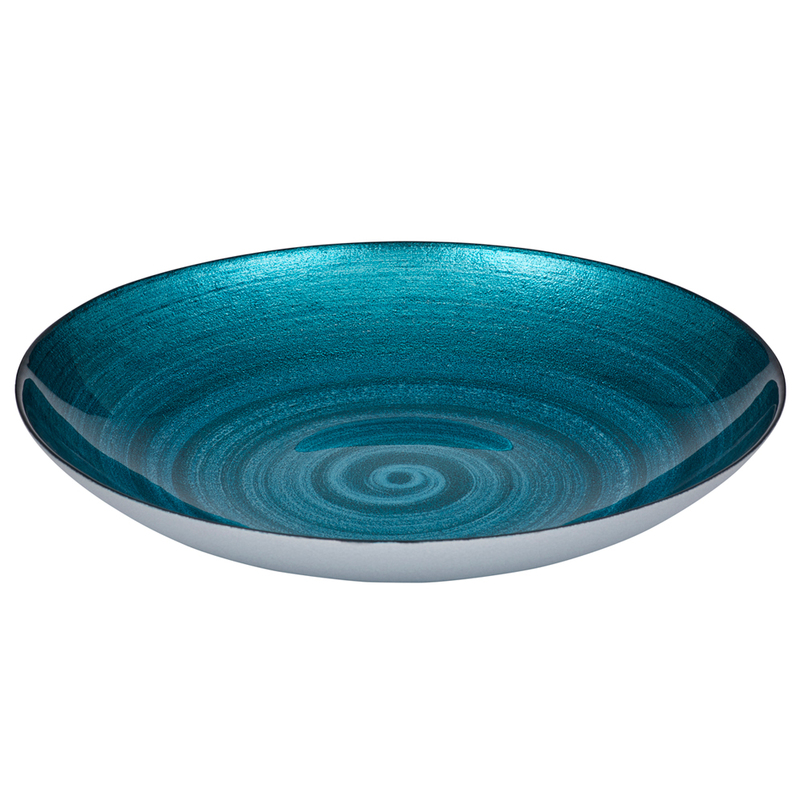 From bowls to platters and candle holders, each piece shimmers with vibrant colours, patterns and textures. Anya will help bring a new sense of style to your home; brightening up every room each time you walk in. Because every piece by Anya is hand-painted, no two products are the same, with each article exuding its own rustic charm. Beautiful silver textured exterior design. Interior has a glossy, aqua-tone spiral finish. Food safe – perfect for serving salads. Can be used as a decorative piece. Please Note: Because each Anya item is crafted and decorated by hand, no two products are the same. Dimensions: 40cm (l) x 7cm (h) x 40cm (w).